3/4" CTS (Copper Tube Size) White Pipe - .875" OD x .070"(+/-.005") Wall | U.S. Plastic Corp. 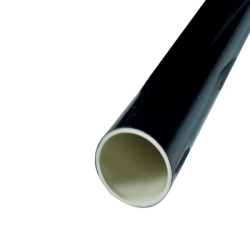 In minutes make your own worktables, racks and furniture with our PVC furniture grade pipe. The outer layer is highly pigmented, glossy, and weatherable cap that is extremely resistant to damage and degradation by sunlight. Just cut lengths of plastic pipe with hacksaw and slip on plastic fittings. The quickest assembly possible. If you want permanent assembly, cement joints with PVC cement. 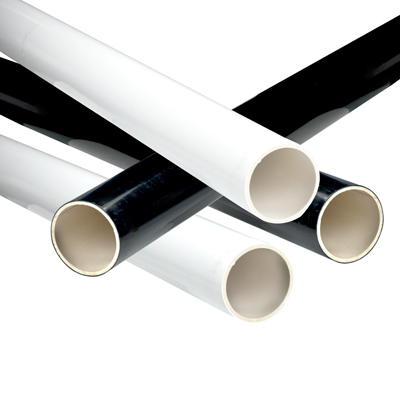 1-1/4" - 1-1/2" pipe is co-extruded so the inside color may vary. Pipe is sold in 5' and 10' lengths. 10' lengths, which are too long for UPS, must ship motor freight or be cut down for UPS shipping.